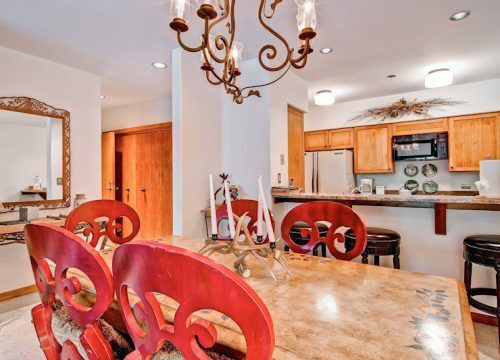 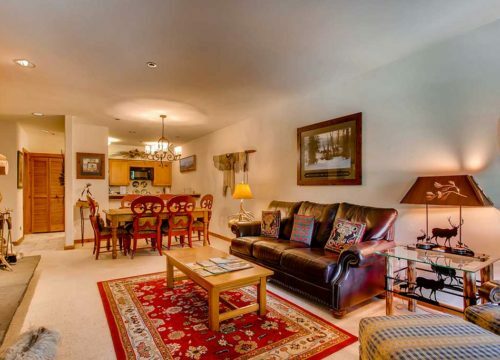 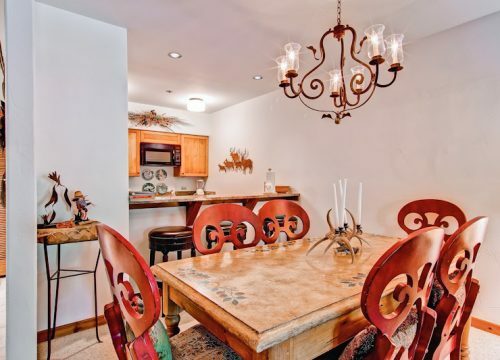 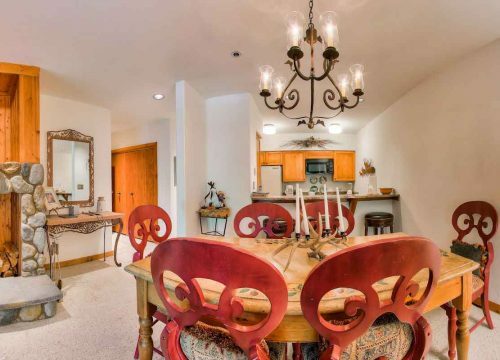 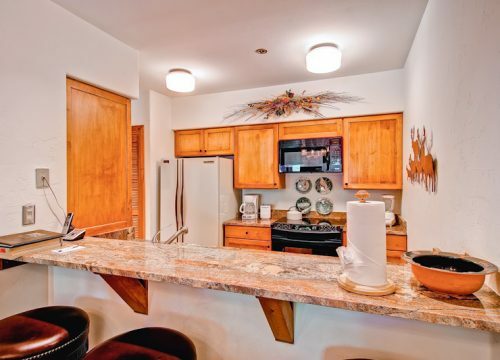 Charming accents throughout this two-bedroom, three-bath residence will make you feel right at home for your stay in Beaver Creek. 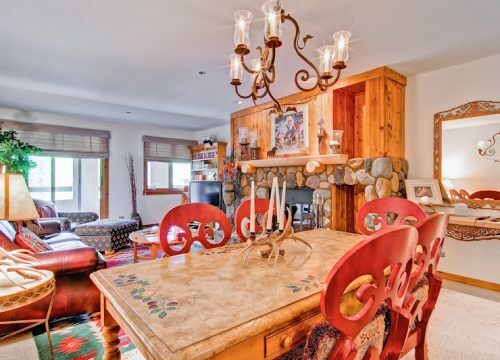 The upgraded kitchen is ready and waiting for you to make a big dinner for the family to enjoy after an exhilarating day on the slopes. 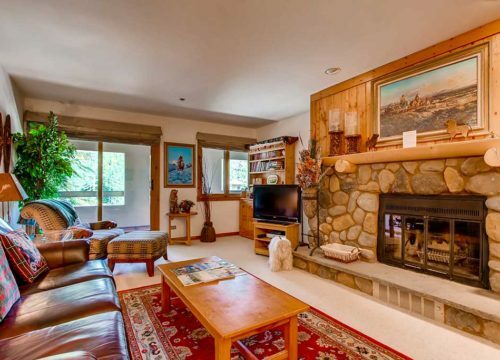 Enjoy the stone fireplace in the comfortable living room or take a break from skiing on a nice sunny afternoon and sit on the large patio. 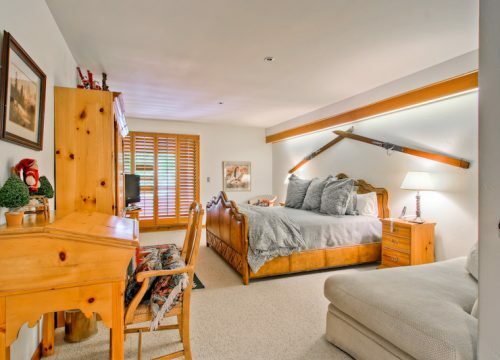 The master suite features a king-sized bed, a nicely updated en suite bathroom, flat screen TV and patio access. 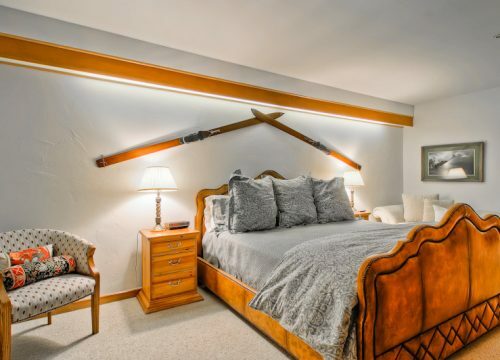 The second bedroom has two queen-sized beds, renovated en suite bathroom and flat screen TV. 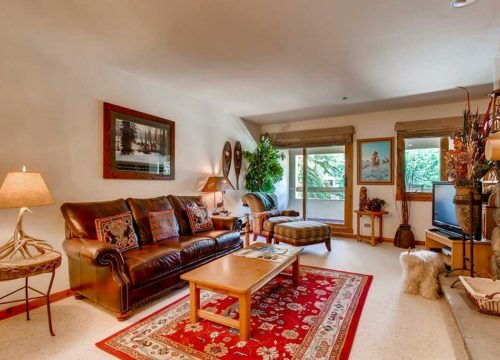 This second floor home overlooks the Highlands area and has partial slope views from some of the windows. 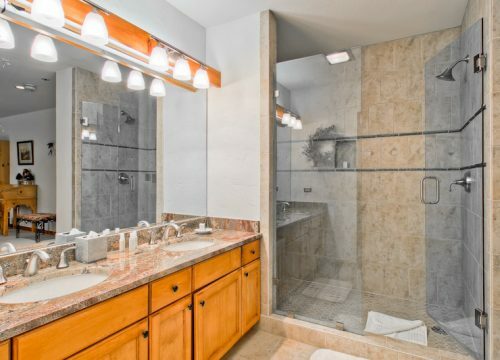 The additional full bathroom off the kitchen adds to the comfort of this residence. 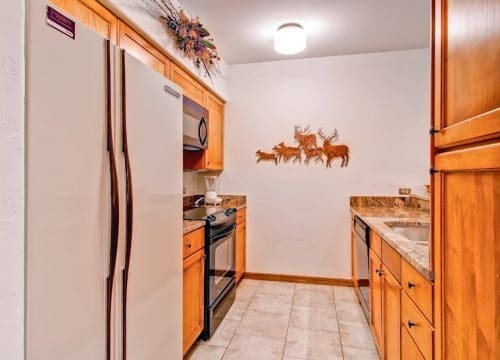 Unit sleeps up to six people.